Elizabeth Smith-McCrossin and Barbara Adams have since apologized for their remarks. Cumberland North MLA Elizabeth Smith-McCrossin. All the posts are embedded below. One of the candidates hoping to lead the Progressive Conservative Party is concerned legalized cannabis could have the same impact on Nova Scotia's productivity as she assumes it's had on Jamaica's economy. 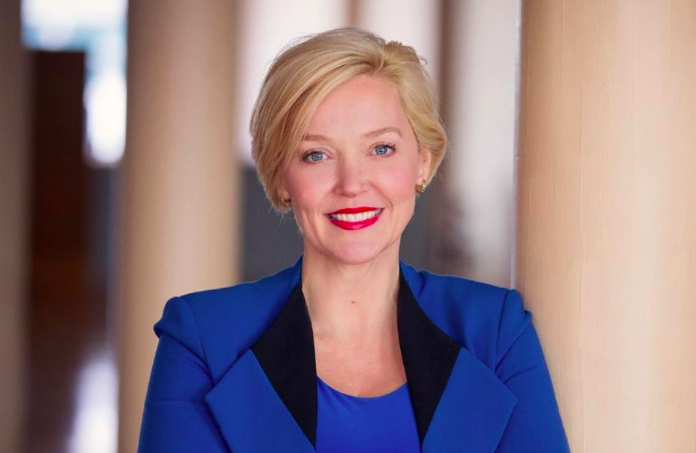 Cumberland North MLA Elizabeth Smith-McCrossin was one of the loudest voices speaking out against Nova Scotia’s new Cannabis Control Act during the bill’s third and final reading Tuesday night at Province House. Among other health and societal concerns, Smith-McCrossin told the Legislature that legalizing cannabis could potentially make Nova Scotians as unproductive as Jamaicans. Marijuana has been a symbolic, largely inaccurate symbol of life in Jamaica for decades thanks in part to the Rastafarian religion. But the drug is still very much illegal in the island nation. Only just recently did Jamaica’s government downgrade possession to a petty offence and allow the personal cultivation of cannabis plants. Elsewhere in Tuesday's debate, fellow PC MLA Barbara Adams followed Smith-McCrossin's lead by wading into a complex debate on legalization and stating the increase in cannabis use will cause an unhealthy amount of air pollution. This is false. There is both industry and air pollution in many, many parts of Africa. Numerous studies have shown the racist stereotype of the “lazy Jamaican” has its roots, not in drug use, but a history of colonial attitudes and economic policies oppressing lower classes. But that’s Jamaica, not Nova Scotia. Workers here certainly don’t face the same attitudes and eroding labour protections, in turn causing low levels of productivity and contributing to a disenfranchised workforce that chooses to self-medicate. Smith-McCrossin should know about some of those issues. She was a registered nurse for over 25 years and says she’s seen “evidence-based” research on the dangers of recreational cannabis use. The potential Tory leader also said cannabis is “well known” by law enforcement agencies as a gateway drug to other illicit substances and actions. The real danger of cannabis in Canada, however, is not its health effects, but the war on drugs that's failed to keep neighbourhoods safe while locking up Black Canadians at disproportionate rates. Quoting from a Canadian Press article back in January, Roberts spoke about the high cost of prosecuting drug offences and how current laws disproportionately target marginalized communities. An investigation by Vice News that was released on Wednesday did analyze that arrest data. Reporter Rachel Browne looked at cannabis charges in different cities from 2015 to 2018 and found African Canadians are severely overrepresented in the stats—especially in Halifax. Black residents in Halifax were five times more likely to get arrested for possessing cannabis than white people, writes Browne. Prior convictions keep many of those Nova Scotians from getting jobs—stopping them from contributing to the productivity level that Smith-McCrossin is so concerned about. Nova Scotia’s Cannabis Control Act eventually passed its third reading 31-15.